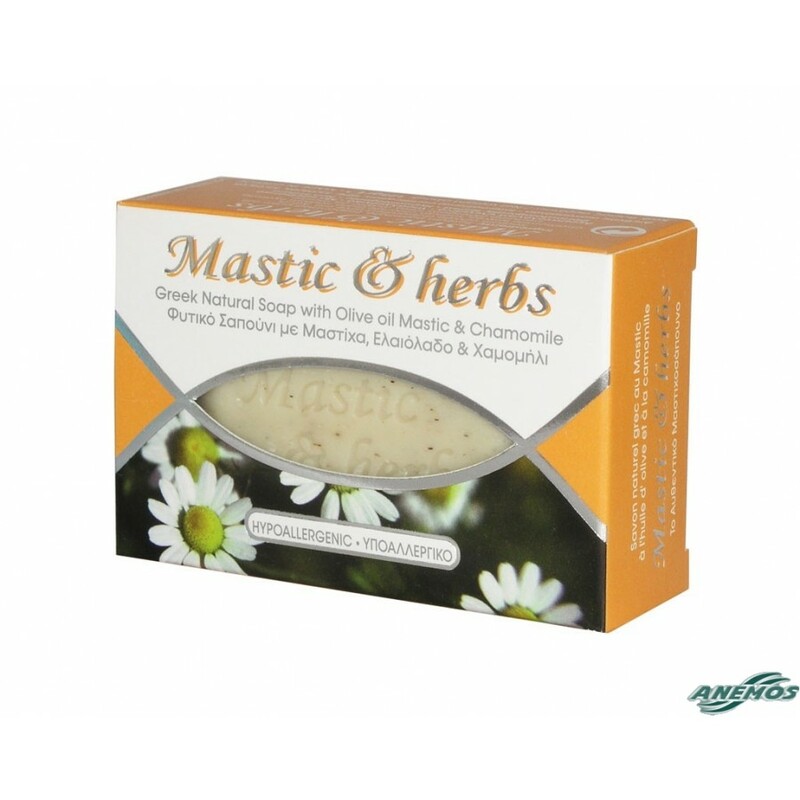 Quality soap with pure mastic, natural olive oil and real chamomile. 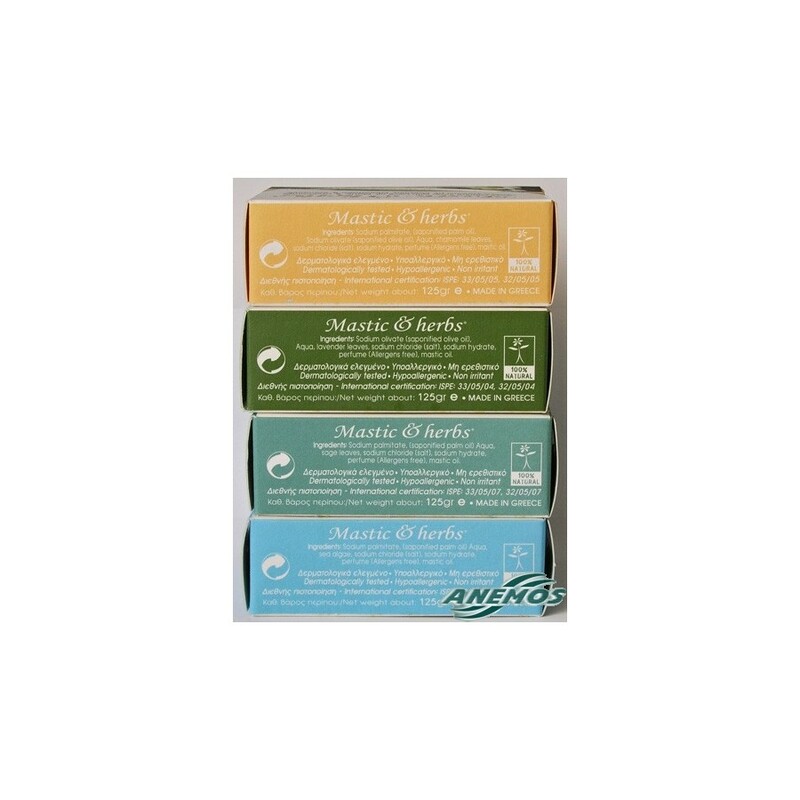 Natural soaps made with 100% plant derived ingredients, mastic oil, olive oil and chamomile, which are known from the ancient times, for their therapeutic properties. 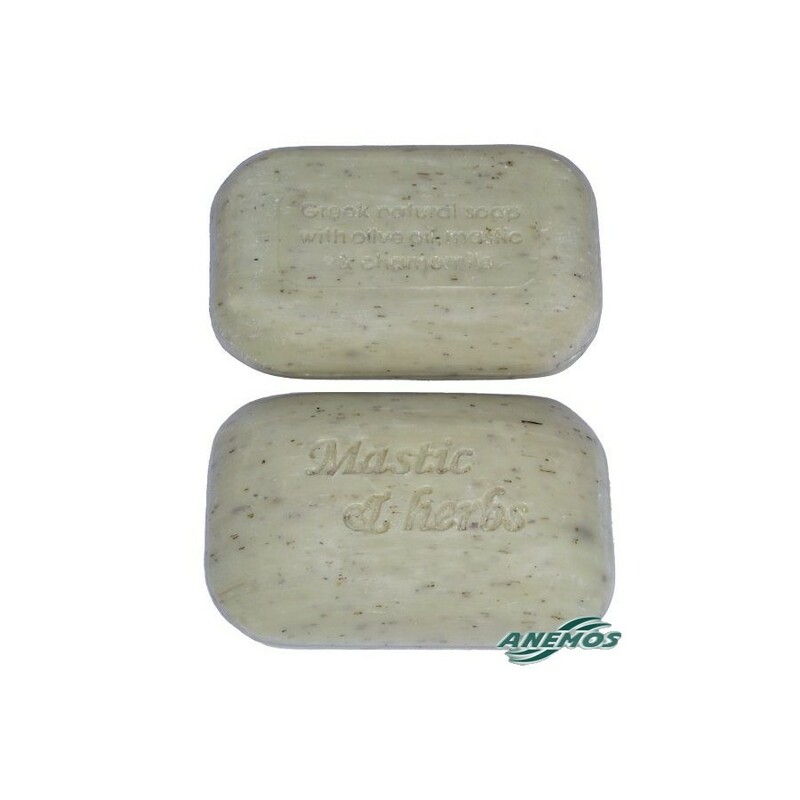 They produce rich but natural lather, effective hygiene for the face and body. Exceptionally good for deep cleansing. Purity and gentle care for every type of skin. 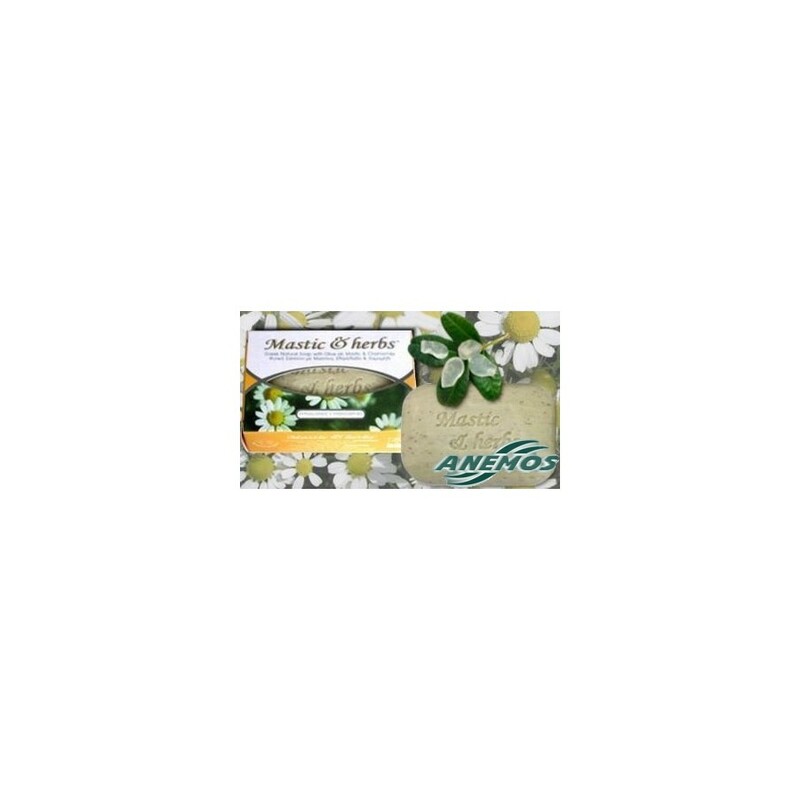 Chamomile (Anthemis nobilis): A well known hypo allergic herb with relaxing and soothing properties. 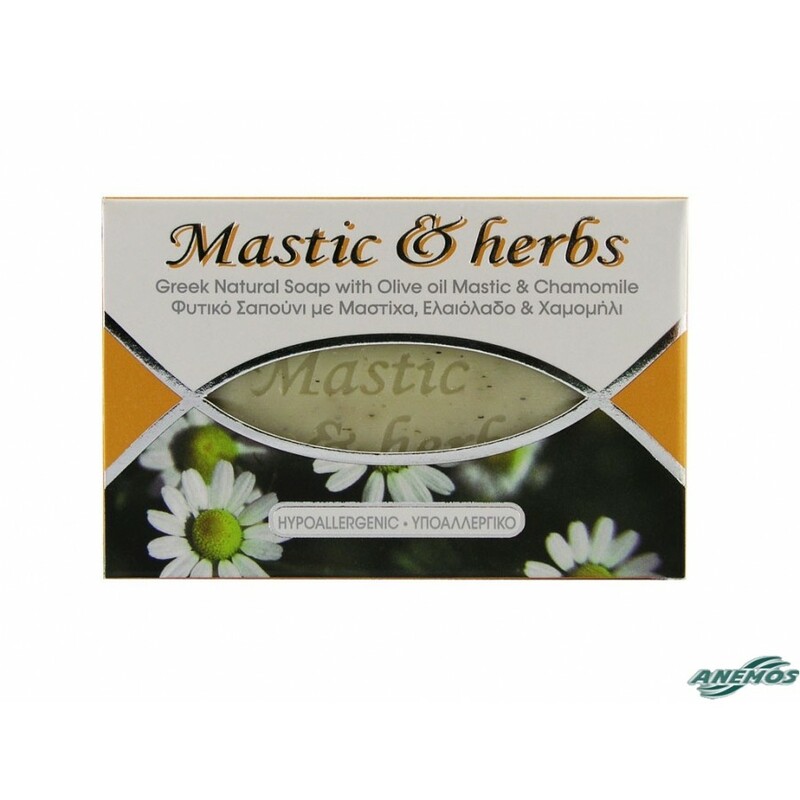 Its use on the skin is extremely beneficial with anti-inflammatory, antiseptic and anti-bacterial properties. It has been used as a wound healer for many years.